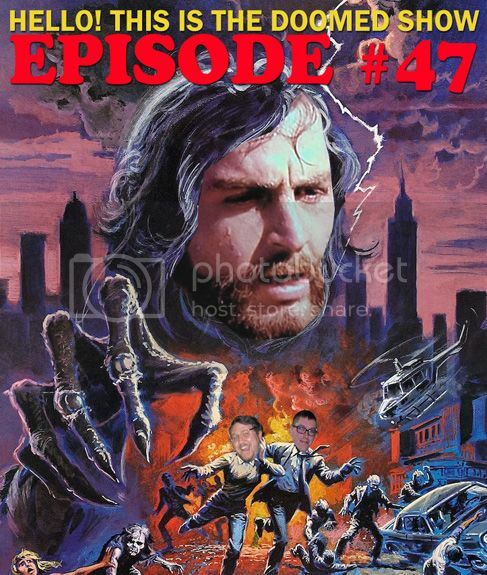 The old Doomed Show is back and this time Jeffrey and I talk about Nightmare City from top to bottom and all doughy Hugo Stiglitz parts in between. No, not that Hugo Stiglitz. We be talking about the original Hugo Stiglitz! Dang! Listen to the episode. Check out the always huge archive. And check out Jeffrey's rad blog. You'll be glad you did. The opening song in this episode is "Doomed Moviethon" by The Prople. Check them out too, damn it all to hell. Awesome. Just re-watched this a few days ago in preparation so can't wait to check it out. And kudos to you on the awesome photoshop job... it may be the zombie (or vampire, or whatever) apocalypse but it ain't stopped you fellas from looking sharp! @Simon - Thanks, man! We hope you enjoy the show.